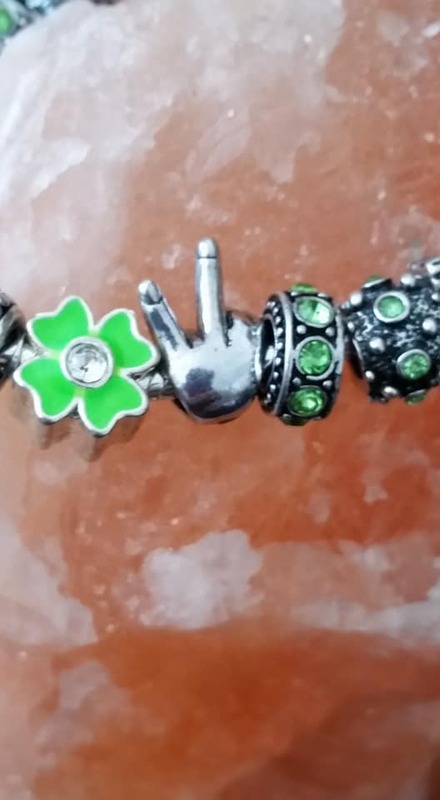 Beautiful "Belle Vie Jewelry" Hippy Peace European Style Bracelet. 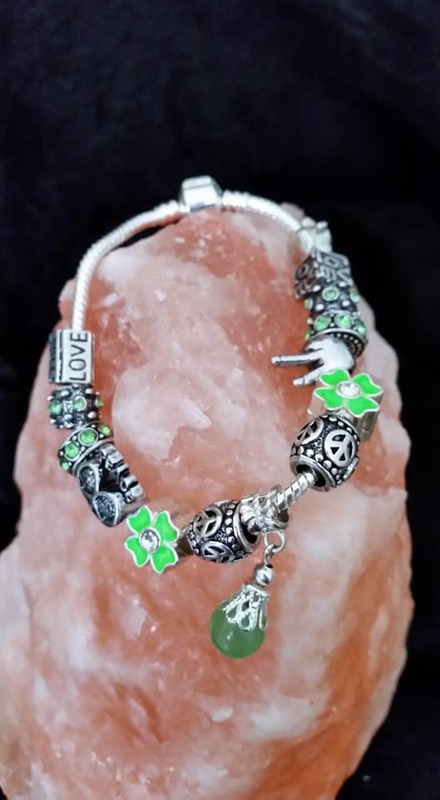 Our Murano beads have a .925 silver core. And this one has a few green beauties that adorn it ! 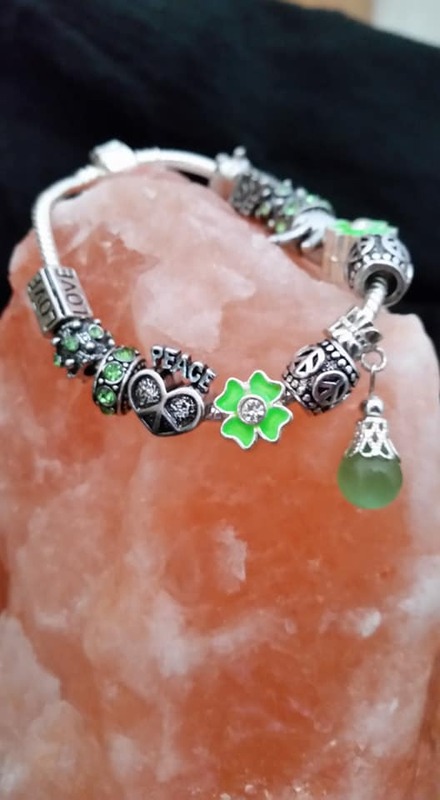 Ships only in the USA at this time ..Shipping is included in the price of this beautiful bracelet ! Take good care of your Belle Vie Jewelry !